One of the boldest and easiest to grow perennial plants is the hosta. These large leaved beauties come in a range of sizes and hues and thrive in semi-shady areas of the garden with little extra care. However, pests on hosta plants can damage the exceptional foliage and diminish the plant’s health. Check out some of the common hosta pests so you know what to look for and how to control these damaging little devils. Native to Asia, hosta plants now come in a range of cultivars and species readily available to gardeners. While hostas are fairly self-sufficient, hosta insect pests can really wreak havoc on the attractive leaves. Hosta plants are primarily grown for their majestic foliage, although they do produce lovely racemes of flowers that add to the stature of this low light loving plant. It is best to get on the ground floor of hosta pest control right as the new leaves are beginning to poke through the soil in early spring. Waiting to address pests on hosta plants may find you with shredded, discolored or deformed leaves, diminishing the beauty of the plant. Some of the damage by insects will be easily recognizable. That is especially true for chewing insects who will make holes in leaves, remove the edges of foliage and leave your prized hosta looking like a ragged version of itself. Other hosta insect pests cause more subtle damage. Hosta leaf nematode damage may be mistaken for a disease. These microscopic roundworms cause unsightly leaves that begin with yellowing streaks and develops into reddish brown widened areas of damage between the veins. Completely wilted plants that collapse upon themselves may be victims to voles, who tunnel under the plant and eat the roots. If you wake up one morning and find that you have absolutely no hosta foliage at all, you probably live in deer country. Hostas are just like candy to these foragers. Fences and repellents may be effective. Outside of deer, rabbits and voles, hosta insect pests will be the most frequent issue. By far the most widespread damage in temperate, moist regions will be from slugs and snails. Their feeding activity leaves smooth chunks missing from the foliage. You can discern their presence by spotting the slime trails they leave behind. These pests are nocturnal and hide in mulch but a good organic slug and snail bait should prevent widespread damage. Other chompers who view the hosta plant as a buffet might be cutworms blister beetles and grasshoppers. These eat the leaves and chew into the veins, leaving behind shot holes, ragged gaps and tears at the edges of leaves. The timing of hosta pest control for these insects is critical to a successful fight and undamaged leaves. 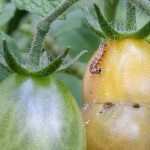 There are many broad spectrum pesticides on the market, but it is best to avoid these as they may also target beneficial insects. 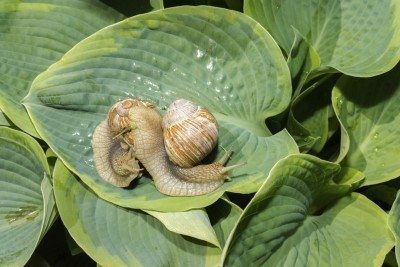 Slug and snail baits are available and should be applied around the hosta garden in early spring and consistently after rains and irrigation. You may also try burying a small can or container at the hosta borders filled with an inch or so of beer. Protect young hosta shoots from cutworms by surrounding the new foliage with a physical barrier such as a cardboard ring. Remove it once the new shoots are a couple of inches off the ground. Other hosta pests are a bit harder to control without chemicals. Choose a non-toxic formula and apply in early spring when the pests are in their nymph stage. Nematodes can be combated with purchased beneficial nematodes. For larger insects you can simply pluck them off the foliage and destroy the pest. 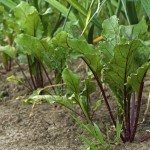 Slugs, snails and cutworms will be found at night so get a good flashlight and smashing boots to save your hostas from these damaging nuisances.